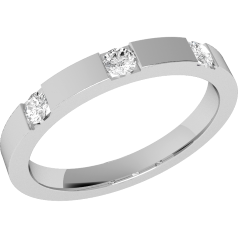 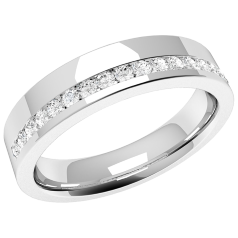 0.05ct - 1025 GBP 965 A gents 6.0mm wide palladium flat-top/courted inside diamond wedding ring, with a single round brilliant cut rub over set diamond weighing 0.05ct and G VS2 quality. 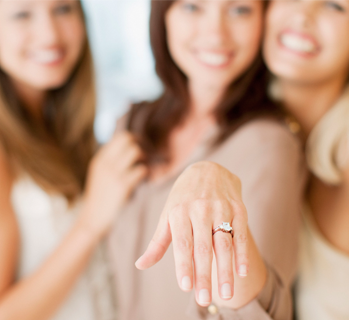 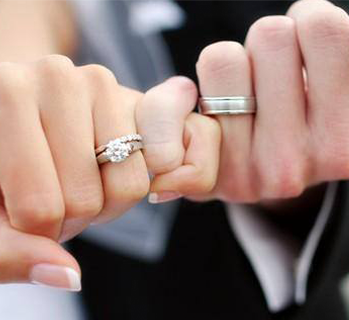 The ring is highly polished with sandblasted edges, weighing approx. 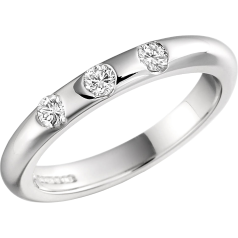 7.50gms. A gents 6.0mm wide palladium flat-top/courted inside diamond wedding ring, with a single round brilliant cut rub over set diamond weighing 0.05ct and G VS2 quality. 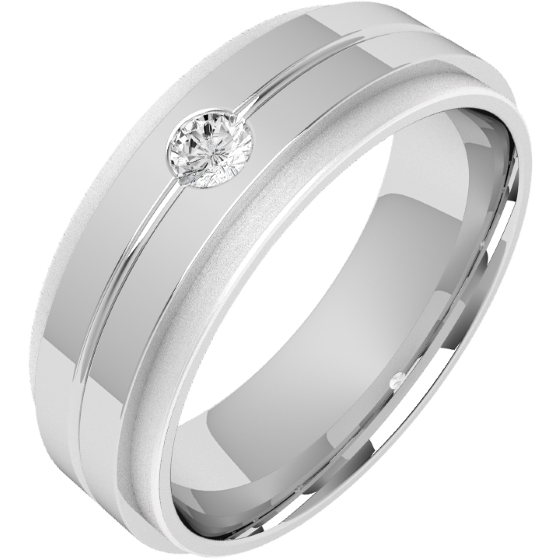 The ring is highly polished with sandblasted edges, weighing approx. 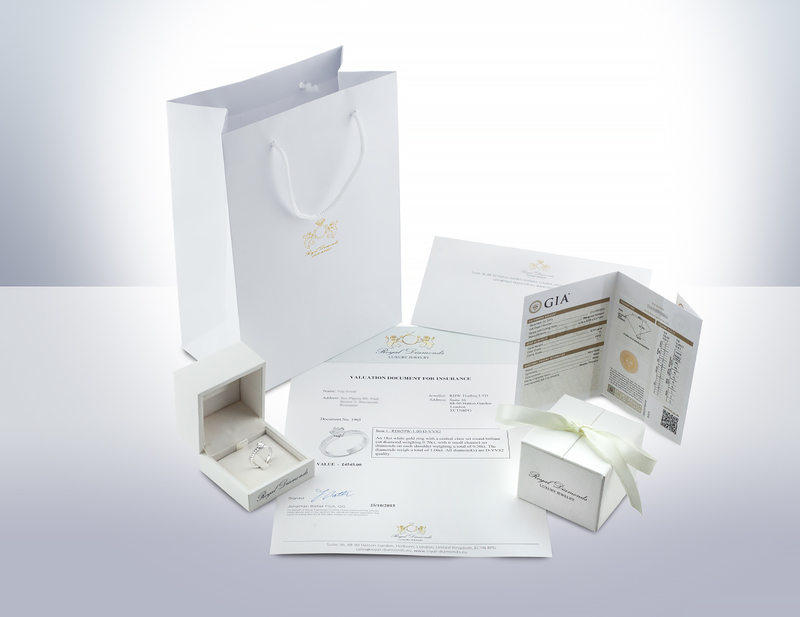 7.50gms. 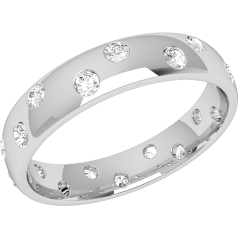 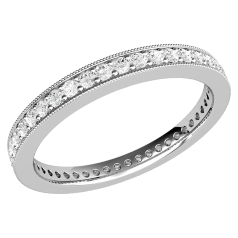 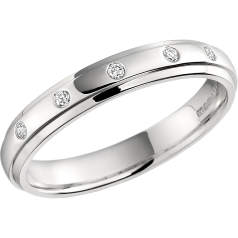 RDW007U - Palladium 4.5mm court wedding ring with 18 round brilliant cut diamonds going all the way around.